Sidebiter Lock 15X8 with 5X4.50 Bolt Pattern 3.625 Back Space Matte Black. 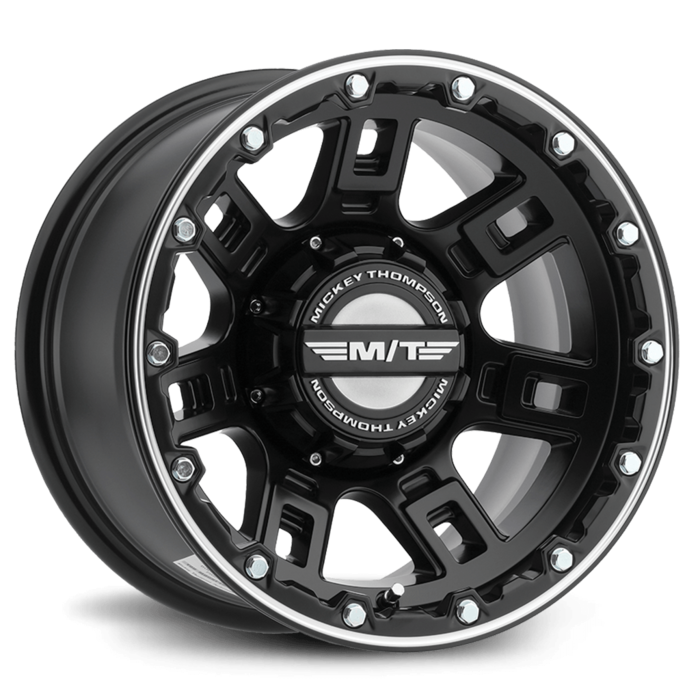 The SideBiter Lock is styled after one of the best known innovations in off-road history—Mickey Thompson’s revolutionary tread-on-the-sidewall tire design called SideBiters, The SideBiter Lock features a satin black finish with machined accents. The Sidebiter Lock is available in sizes 15x8 through 20x12.